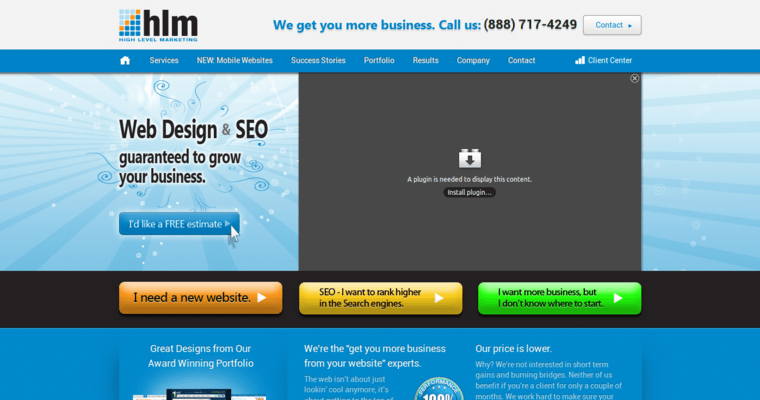 Web design and SEO is at the heart of this business, an award winner in the realm of creative web design. With more than 1,000 clients, HLM was established in 2009 to meet the growing demand of client networks looking to boost their bottom line. The company boasts a 98 percent retention rate and solid track record of delivering on stated promises. Through the use of its own software, HLM makes forays into the research and development space to garner measurable results for clients. The company offers guaranteed support delivering on 24/7 backup and hosting, email setup, content management, lead management, analytics and custom URL tracking. High Level Marketing aims to bring more customers to its clients via search engine marketing and other techniques. 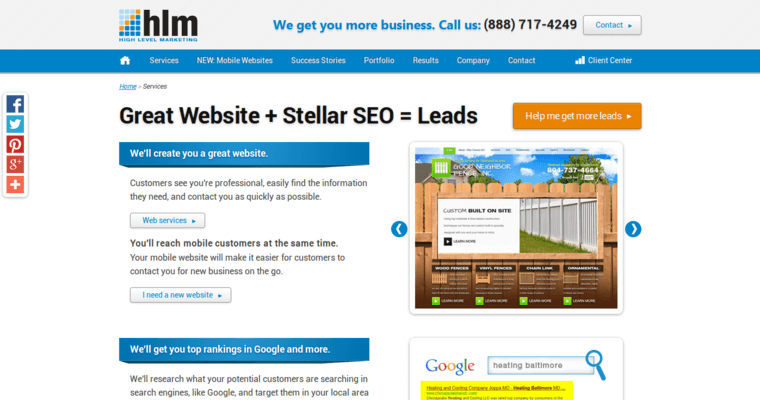 It boasts a growth rate of more than 600 percent, helping clients get better ranking results and online exposure. This company was founded by Wesley Mathews and Jon Bowerman, Michigan-based entrepreneurs looking to connect clients with the resources they need to get more exposure. 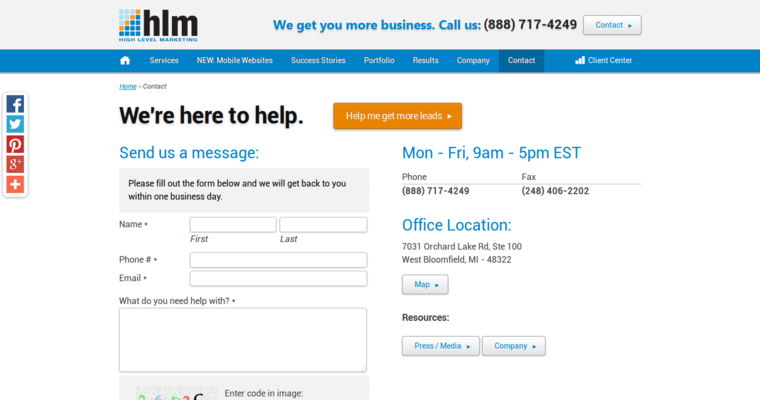 Through the use of mobile sites and creative web design, HLM makes it affordable for clients to get results.